Our exclusive earrings were made just for us for our April Yoga Cat box. 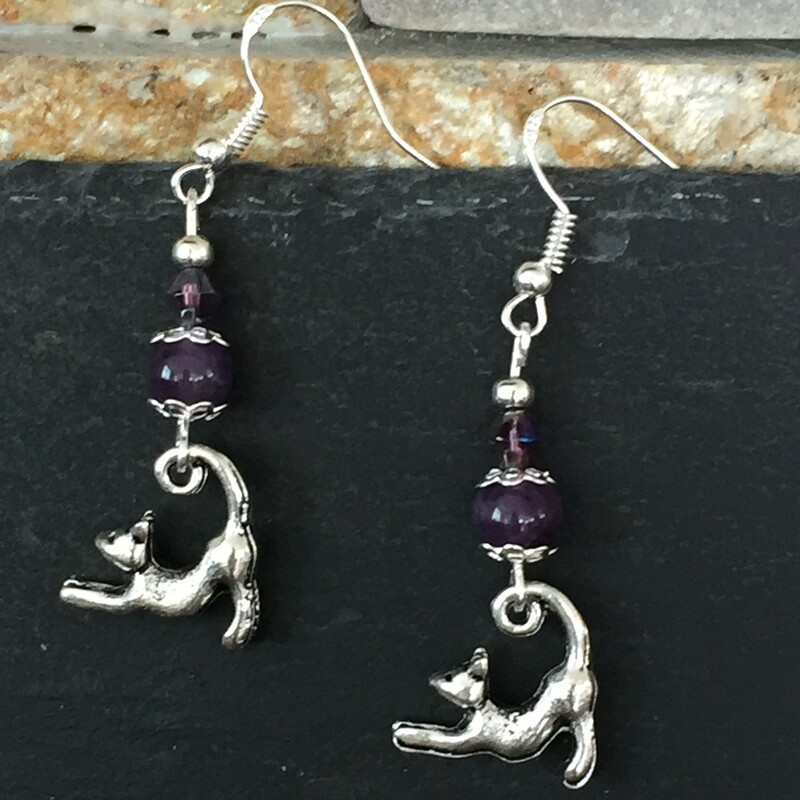 The earrings are on sterling silver wires, have ameythst beads and a Tibetian silver stretching cat charm. The chrystal bead colour will vary.